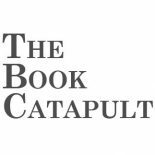 The Book Catapult began as a blog about books in 2006, written by Seth Marko. In October 2017, The Book Catapult entered a new era, opening as a physical, brick-and-mortar bookstore owned by Seth and his wife, Jennifer Powell. We are a general bookstore somewhat specializing in fiction, local interest, and children’s books, located in the South Park neighborhood of San Diego. The opinions expressed on this here highly-personally-opinionated Book Catapult blog are those of Seth Marko or those of other Catapult affiliate authors and do not necessarily reflect the views of Ingram Content Group, Ingram Publisher Services, or their affiliated companies, clients, employees or customers.